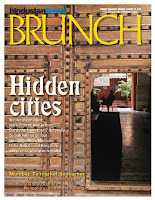 The Hindustan Times did a lovely story this weekend, on "Hidden Cities" - little known delights of Mumbai, Delhi, Kolkata and Bangalore. I thoroughly enjoyed taking Mignonne, the writer who covered the story, on a walking exploration of Bhuleshwar and Kalbadevi. These vibrant areas of the city constantly surprise me - even when I think I know it all, they throw something new at me. This time, on the walk, it was a little signboard in Mangaldas Market, that said "Extra Gully". Mangaldas Market is one of the largest wholesale fabric markets in this area - a somewhat addictive experience if, like me, you have a thing about fabrics. It is divided into little lanes, and each lane has a number that helps orient you in the maze. I've been there several times, but this was the first time I saw this little board - Mignonne pointed it out to me. An Extra Gully - a builder's quirk, perhaps, but firmly declaring its presence :) We are here too! say the shops in this lane! All you have to do is follow this arrow! I had to squint up to look at the board. Hard to spot! The sign is in English, Devnagri and Gujarati. By its very nature it reminds me of the multi-cultural mix of traders who have made this area their home. Muslim, Parsi, Hindu and Jain traders, all use the Gujarati script. Marathi-speaking dealers use Devnagri. English is commonly used by all these communities...notice that the word Extra is English; and so is the word Gully...that doesn't stop anyone from understanding it and writing it in whatever script they want! On the walk, I also took Mignnone to one of my new favourites - a fantastic little bindi shop near the TBZ store, called Tanvi. What fascinates me about this shop is how they constantly have new products. How does one innovate in something as simple as a bindi? Apparently, the possibilities are endless. For example, I spotted this bright orange box amidst other bright boxes, and asked "What is it?" Kya hai? "Khol ke dekho madam", said the guy at the shop. Open it and see. So I open it, and ta-da! It's a Bindi Wallet, with a little mirror on top for me to admire my forehead. 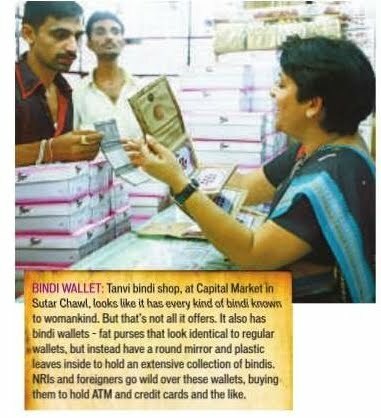 Given how expensive fancy bindis are, a wallet to keep them all in order is a practical idea, but what evokes my admiration is the design effort that has gone into making the wallet attractive and appealing. Clearly, this is designed so that it is perfect as a part of a bridal set, or maybe just a wonderful embellishment to a woman's dresser. Go wow 'em at the office, girl! And that's not all. The world of bindis extends beyond the forehead, to hair ornaments, anklets, tattoos for the arm and back...and all manner of body art. There are new designs every couple of months. I see the stocks of bindis and tattoos constantly changing, and marvel at the design impetus behind it. It is the market itself that drives this design. The Indian woman - with her love for all things colourful, and her readiness to try new things - is at the heart of these products. 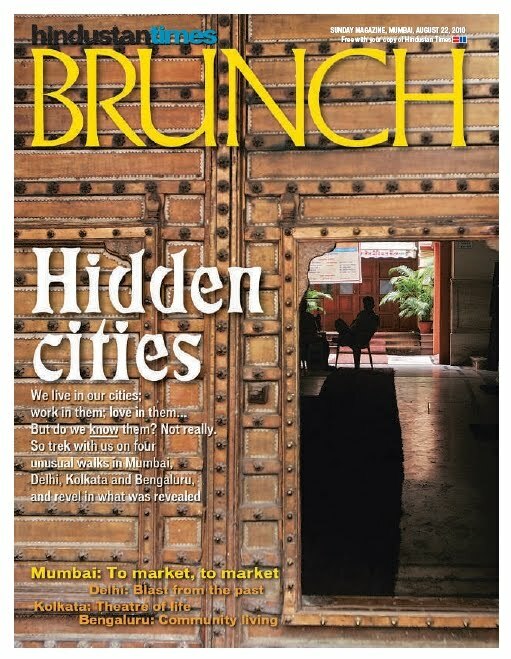 Photo of me which appeared in HT Brunch - at Tanvi Bindi Shop. Tanvi is a wholesale shop, but you can see how the entire business is geared towards appealing to the women of the city. "Yeh chalega kya"? Will this work in the market? This is the single-minded question that drives all of Kalbadevi and Bhuleshwar into a frenzy of innovation and change. More power to this machine, then! May it thrive and prosper! P.S. If you want to read the full article then it is here, with many interesting other tidbits about Bhuleshwar. I love the way you find new "discoveries" in this old old city! Where exactly is Mangaldas Market? I came to Mumbai last year but no one in my family knew the exact location (after reading about it on your blog), so I missed it- we ventured near the tirupati temple in Mumbai, but I wish I had just asked you. Do you mind posting the address or directions for someone coming from Sion/Wadala? From Sion or Wadala, you take the straight road to VT. Before you hit VT, you will pass Crawford Market on the right. 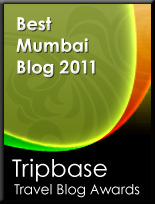 Everyone knows Crawford Market, so ask for it. Mangaldas Market is in the lane opposite Crawford Market. If you peep into that lane, you will see a white mosque at the end of the lane (Jama Masjid), that's how you know you're in the correct lane. Thanks Deepa! Seems pretty easy to get to. 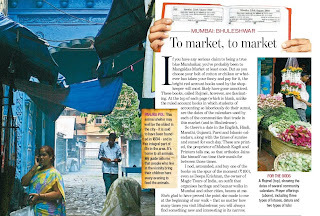 I did visit Crawford market and was floored by the huge sitaphals that you get there! They tasted really good too. Thanks again!! Had been to Crawford Market and the surrounding areas many times but as you said every time its a new discovery. This extra gully is something that I would like to take my wife next time. Didn't know there is so much in Mumbai..all eyes now! As you know quite a bit bout Mumbai markets, I was wondering if you could help me locate a place where I can buy a bobblehead (dancing head) Tanjore Dolls. Would Matunga/Dadar house any such shop selling these dancing dolls from Tamil Nadu? Any help in this regard would be appreciated! Lovely pictures. Thanks for sharing. 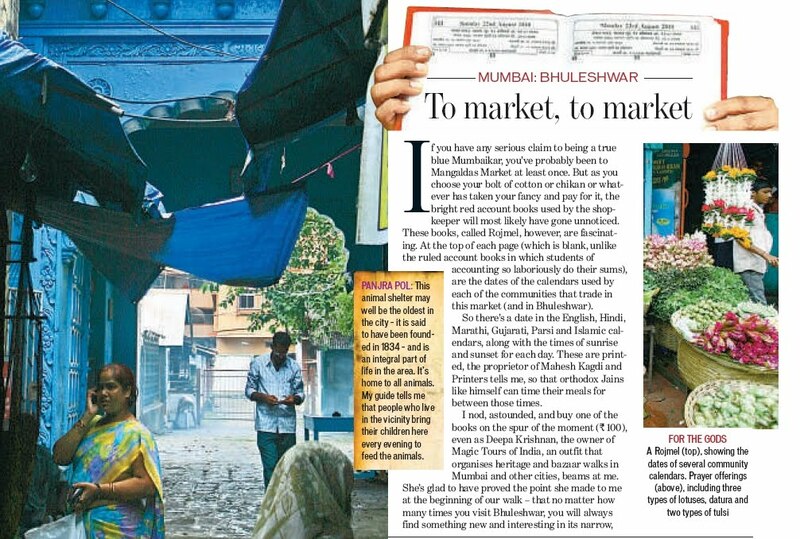 Bhuleshwar Market in Mumbai is a must visit for anyone looking to experience the culture of the city. 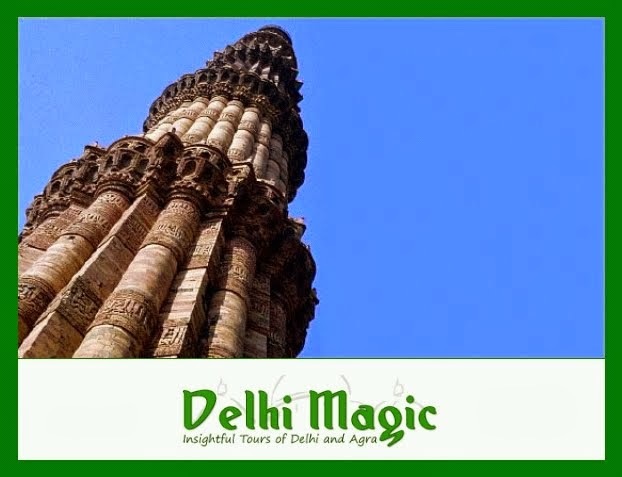 This place is famous for being home to more than 100 temples, of which Swaminarayan Temple and Mumba devi temple are noted examples. 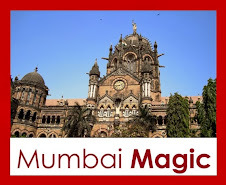 Explore more about Bhuleshwar Market Mumbai. Several years ago, I had entered the shop Tanvi to continue an important call as it was impossible to hear anything on the road.